I mentioned in a recent post that as of late I’ve had a resurgence of nocturnal adventures, which had, by and large, dried up for quite a sad stretch of time recently. These cosmic journeys have been integral to my life experience (and my soul’s exploration) for as long as I’ve been alive. For them to just stop was like having a large portion of my soul whacked away! But now they have resumed, and my sense of wonder has been re-ignited… I am whole! Somehow the concept of wandering (as in, wandering the cosmos) came to me this morning. So I visited the “L & L Research” website, where I found this questionnaire and (more significantly) the entire Wanderers Handbook to bring to your attention. Friends, I am sharing with you a recording of what might be the most significant, complete information to come down the pike, so to speak, about JUST WHAT we are headed for THIS WEEKEND. As always, listen with your discernment engaged, but for me personally . . . this seems a plausible account of how this miraculous ascension will play out. Once again we find you in the building energies of an opening portal, this one being the major one of eleven-eleven. We hear groans all around. But we also note that even you are recognizing the relative ease with which you are now handling these. This is in accordance with what we have told you, is it not? The changes you are noticing in yourselves, if you are paying honest attention, are now becoming rather like a whirlwind. You probably are having trouble keeping up. Don’t worry. Scorekeeping is not necessary. Perhaps especially among lightworkers, who know that Earth’s exit from third density is imminent, there is concern because turmoil isn’t abating, and in some instances, seems to be increasing. We want to set your minds at ease about this by explaining why the world situation is what it is, and it starts with the Beginnings. Beloveds, what you differentiate as science and spirit are one and the same. There can be no separation because the origin and makeup of every thing in existence cosmos-wide is energy. 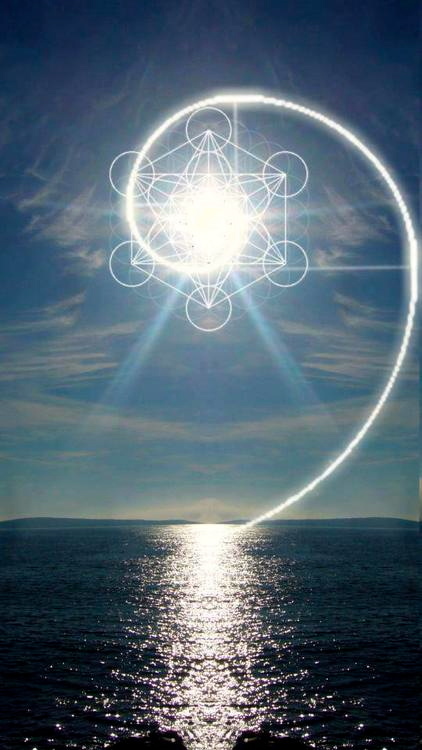 This energy is the pure love-light essence of Creator, Supreme Being of the cosmos, Source, All That Is, Totality, I AM. At the same time that each of you is a unique, independent and inviolate soul self, in the infinite and eternal interconnectedness of All, each resident of Earth is a microcosm of the planet. Earth is a microcosm of your solar system, the system is a microcosm of the Milky Way, and your galaxy is a microcosm of this universe. Our universe is a microcosm of the cosmos, whose Beginnings were what you call the “Big Bang,” and from that moment onward, no thing exists only unto itself and anything that happens anywhere affects everything, everywhere. For the past several decades Earth has been on center stage in this universe because of the unprecedented swiftness and extent of changes on the planet, which are attributed to science, and within her peoples, which are attributed to spirit. Yet, all of the ongoing changes on Earth and within you were set in motion seventy-some years ago when you gave energy new directions, so to say. What Does the “Galactic Community” Want with Us? Ok, here’s something a little different, which I’m posting to tweak your powers of discernment. As most anyone who visits this blog knows, the preponderance of channeled material is, at this point, just beyond the beyond. Numerous blogs have become, in essence, Times Square video billboards changing content every few minutes to ‘broadcast’ the latest shiny message that came in from who knows where, really. Moreover, since the calendar rolled over into this mythic year, 2012, the messages are almost screaming with pre-orgasmic excitement about impending contact with luminous, friendly ets who will, in effect, “save us” and help us clean up the massive mess we’ve made of our world with their advanced knowledge and technologies. As many of you well know, the ‘airwaves’ so to speak are saturated with messages about this 11:11 alignment. Another one follows this post, as I have a few items I’d like to share on this matter of a tremendous wave of incoming energies due to “infuse” with us, full-force, as of this Friday. This is turning out to be a very powerful moment for Earthlings. A “whole lotta light” is pouring — blasting — its way into our planet and our bodies… energy that, due to an alignment akin to a thousand tumblers falling into place that have had no relation to each other for many, many thousands of years (and has never come to Earth in quite this blend before)… their new placement causing a massive cosmic pipeline to swing open and flow. These are frequencies that come from vast areas and aspects of infinity that Earth has never encountered… and they are here as part of the Ascension Program for Gaia and the rest of our local universe. Now, 95% of all messages you’ll see re: this event either focus on the end of the world, or an “absolute” positive, ie, this is the most liberating and enlightening event of this planet’s history (or at least, many millennia of it). I certainly believe the positive is true, but there is this interim period that is the niggler for many of us. Just like an individual’s kundalini ‘ascension,’ or deep energetic activation moving up from the base and through every center of the body, any massive energetic amplification in the body also has every chance of creating challenges before all the “goodies” can be enjoyed. Let me share a few examples.